VandyRadio is a radio station that strives to present the diverse voices of the Vanderbilt community with the most representative news, talk, and popular music programming to suit their educational and entertainment needs and wants while fostering the connectivity of the community. VandyRadio works toward a cohesive overall mission of Vanderbilt Student Communications as a primary division. 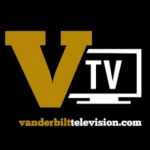 VandyRadio also aims to develop essential skills of the members of the organization and the wider Vanderbilt community.